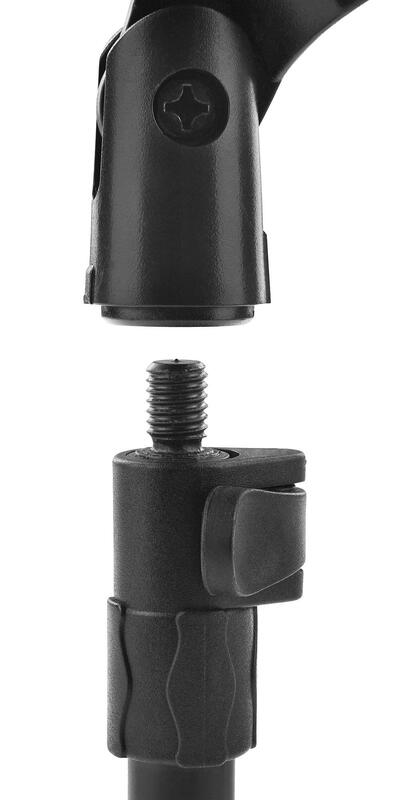 Microphone clamp, reducing thread from 3/8" to 5/8"
With its easy height adjustment and the small pack size, the MST-20 table stand is perfect for lectures, speeches, podcasts and other voice recordings. 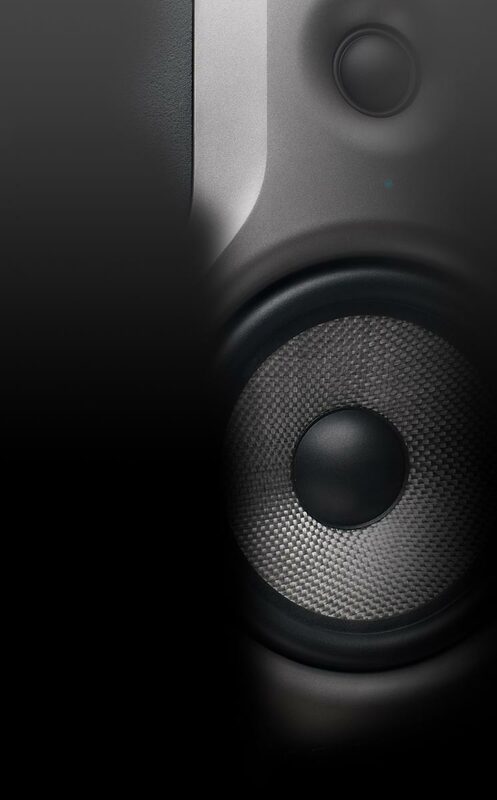 The sturdy base keeps the stand stable while the microphone is quickly adjusted to the respective speaker. Since the height is adjusted via a plastic quick-release mechanism, material and paint are spared from scratches and dents. 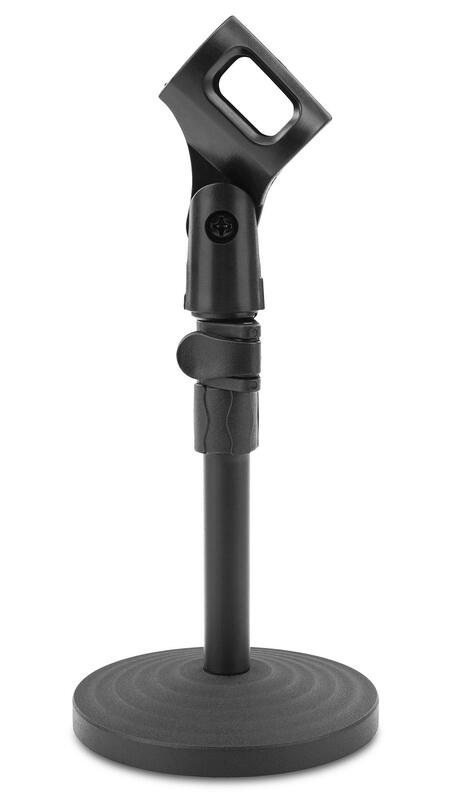 Quickly disassembled, it fits in any pocket and is always ready to go. A reducing thread and microphone clamp are included in delivery so that you can start right away! 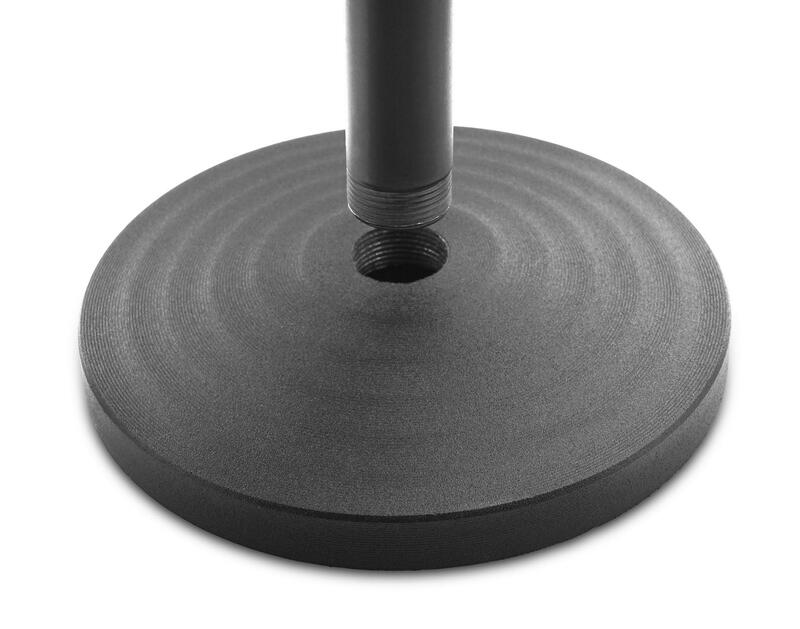 Compact Microphone Table Stand by McGrey! Artikel wie bestellt erhalten. Schnelle Lieferung. Gut verpackt. Leichte Handhabung. Wir haben diesen Ständer Zweckentfremdet. Nutzen diesen Ständer als Wasserschlauchhalter. Funktioniert super. Sehr gut nutzbar zum Abnehmen vor einer Gitarrenbox. Der schwere Stahlgussfuß gibt einen guten Stand.